200 pages | 2 B/W Illus. Interpretive consumer research usually proceeds with a minimum of structure and preconceptions. 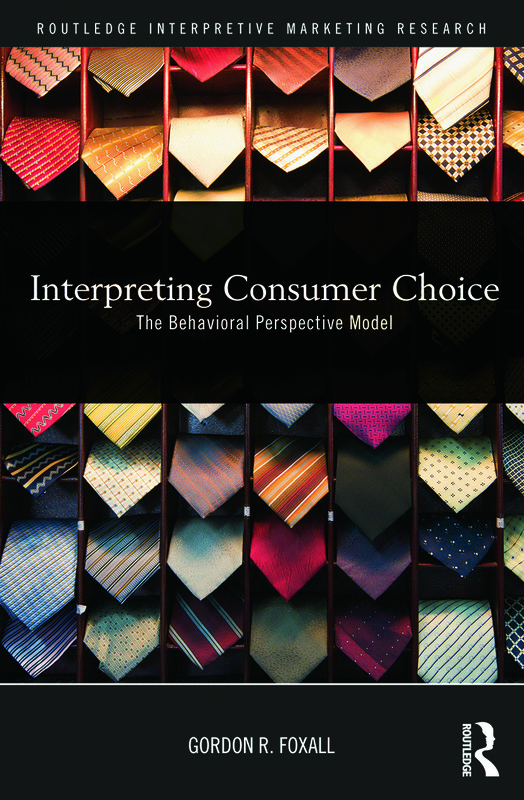 This book presents a more structured approach than is usual, showing how a simple framework that embodies the rewards and costs associated with consumer choice can be used to interpret a wide range of consumer behaviours from everyday purchasing and saving, innovative choice, imitation, ‘green’ consumer behavior, to compulsive behaviors such as addictions (to shopping, to gambling, to alcohol and other drugs, etc). Foxall takes a qualitative approach to interpreting behavior, focusing on the epistemological problems that arise in such research and emphasizing the emotional as well as cognitive aspects of consumption. The author argues that consumer behaviour can be understood with the aid of a very simple model that proposes how the consequences of consumption impact consumers’ subsequent choices. The objective is to show that a basic model can be used to interpret consumer behaviour in general, not in isolation from the marketing influences that shape it, but as a course of human choice that is dynamically linked with managerial concerns. List of Figures. List of Tables. List of Boxes. 1. Overview of the BPM. 2. The Story So Far. 3. Ways of Wondering. 4. The Meaning of Consumer Behavior. 5. A Model of Interpretation. 6. Interpreting Consumer Choice. 7. The Nature of the Interpretation. Afterword. References. Index. Distinguished Research Professor at Cardiff University, Gordon Foxall holds PhDs in industrial economics & business, and in psychology, and a higher doctorate (DSocSc). Author of the critically acclaimed Understanding Consumer Choice and coauthor of the best-selling Consumer Psychology for Marketing, Fellow of the British Psychological Association and the British Academy of Management, he is an Academician of the Academy of Social Science. Recent years have witnessed an ‘interpretive turn’ in marketing and consumer research. Methodologies from the humanities are taking their place alongside those drawn from the traditional social sciences. Qualitative and literary modes of marketing discourse are growing in popularity. Art and aesthetics are increasingly firing the marketing imagination. This series brings together the most innovative work in the burgeoning interpretive marketing research tradition. It ranges across the methodological spectrum from grounded theory to personal introspection, covering all aspects of the postmodern marketing ‘mix’, from advertising to product development, and embracing marketing’s principal sub-disciplines.